As expected, more and more people embrace new technology when it comes to vacuum cleaners. The market for robotic vacuum cleaners has grown ever since the first models appeared, and more so in the last couple of years. It’s entirely understandable why people start choosing robotic vacuums instead of traditional models; namely because of the big advantages that come with such a product. Most people perceive cleaning as a hard and uncomfortable task. And probably, so do you. This is most likely the reason why you, and millions of other people, decided to go for a robotic vacuum. In this review we’re going to take a closer look at the new iRobot Roomba 980, to find out if it represents a solution and is worthwhile of your consideration. One of the big disadvantages that robotic vacuum cleaners used to have was suction power, especially when varying floor types. Well, not any more. The latest line of Roomba vacuum cleaners have higher suction power, and more so the iRobot Roomba 980, because of the AeroForce cleaning system, which enables this vacuum cleaner to have twice the suction power of other models from the line. Whether you have wooden, carpeted or tiles floors, the Roomba 980 handles them equally well. It varies suction power when going from a hard floor onto carpet, in order to maintain the same level of cleanliness across the entire area. The “Carpet Boost” kicks in when it senses that it’s on a carpeted surface, raising suction power, easily eliminated all the dirt accumulated in the fibers. If there’s only one thing that will impress you about the Roomba 980 is how much it can cover before it needs to recharge. The battery lasts twice as much as with other models, up to nearly 2 hours. Don’t worry when it needs recharging because it will do it automatically, returning to the docking station. After it’s fully recharged it will continue where it left off. Thanks to its powerful battery, it’s capable of analyzing and memorizing where it was and where it needs to go next. Because there’s no such thing as perfect, the iRobot Roomba 980 had to have a weakness; a weakness that all robotic vacuums have. Due to the fact that they’re made to go under furniture producers had to compromise on bin size. But considering this, it has a nice dust capacity. It’s capable of taking care of normal cleaning without you having to empty the bin too often. It’s recommended, though, that you empty the bin between cycles. And in the case you will have to empty the bin, you will be delighted to find how easy and straightforward the whole process is. 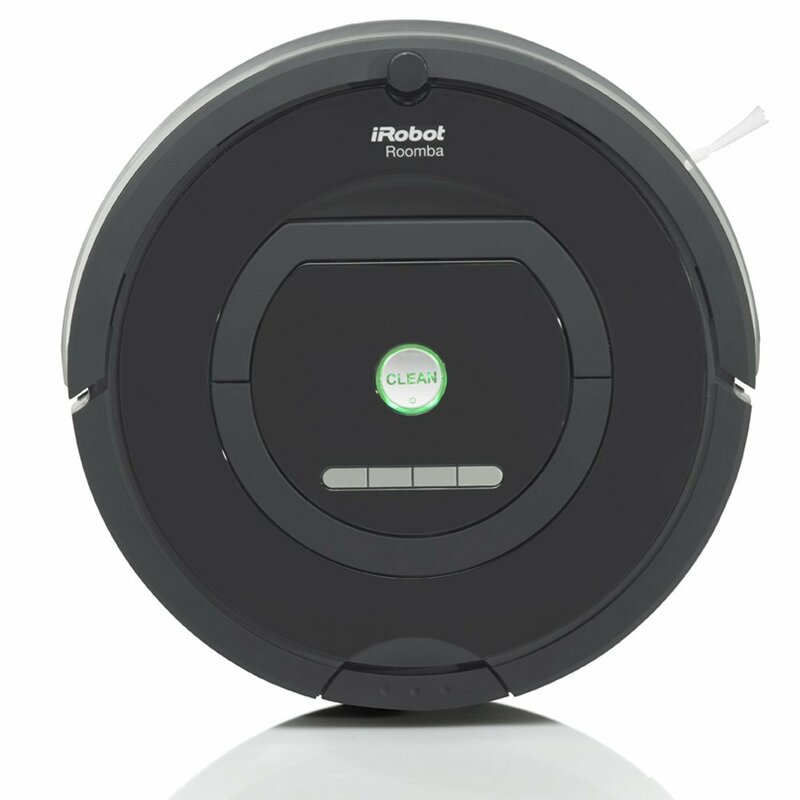 The technology used by the navigation system is a first in the Roomba line from iRobot, and a first in the industry so far. It completely maps the environment so it always knows exactly where it is and where it needs to go. You will probably be completely amazed by the simultaneous localization and mapping technology. The new camera sensor is capable of analyzing the entire floor plan, so it can start the cleaning routine as efficiently and effectively as possible. 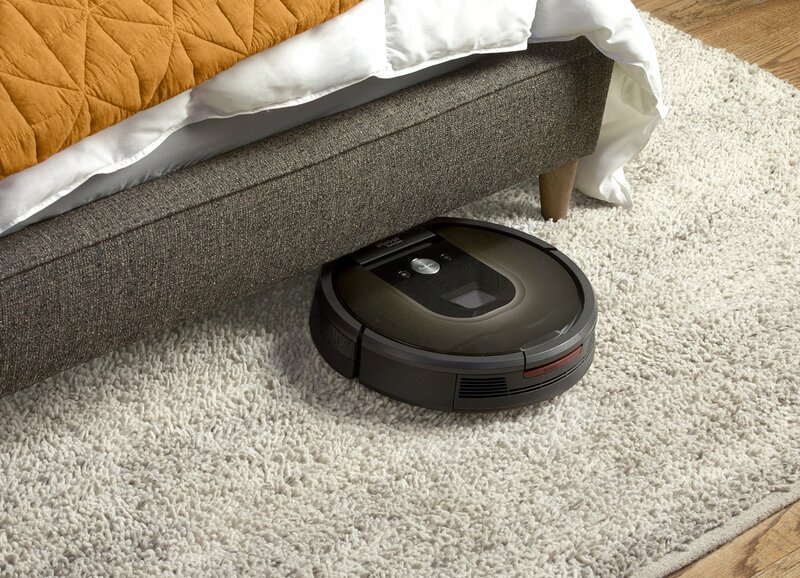 If you had a robovacuum before, you’re probably used to see it wander around almost randomly. 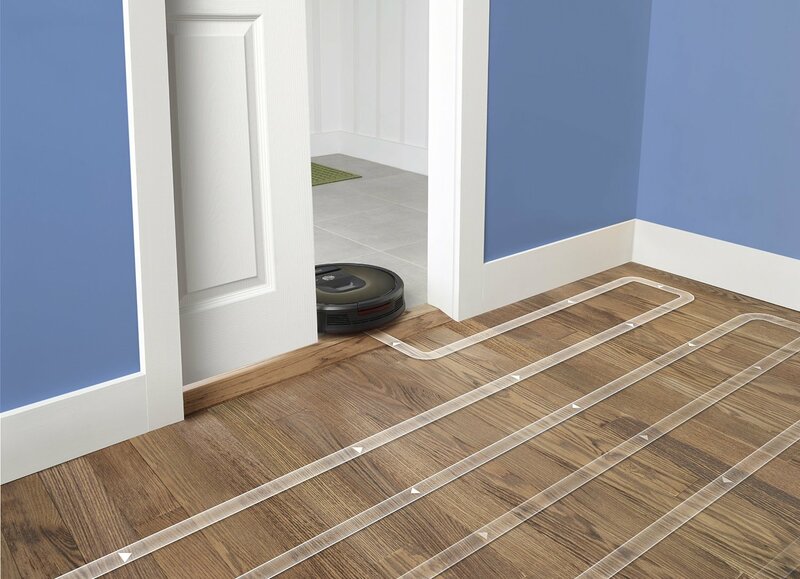 The Roomba 980 will work the floors going in parallel lines, until the entire floor is cleared. It will use the whole 2 hours of battery life to clean the entire level. 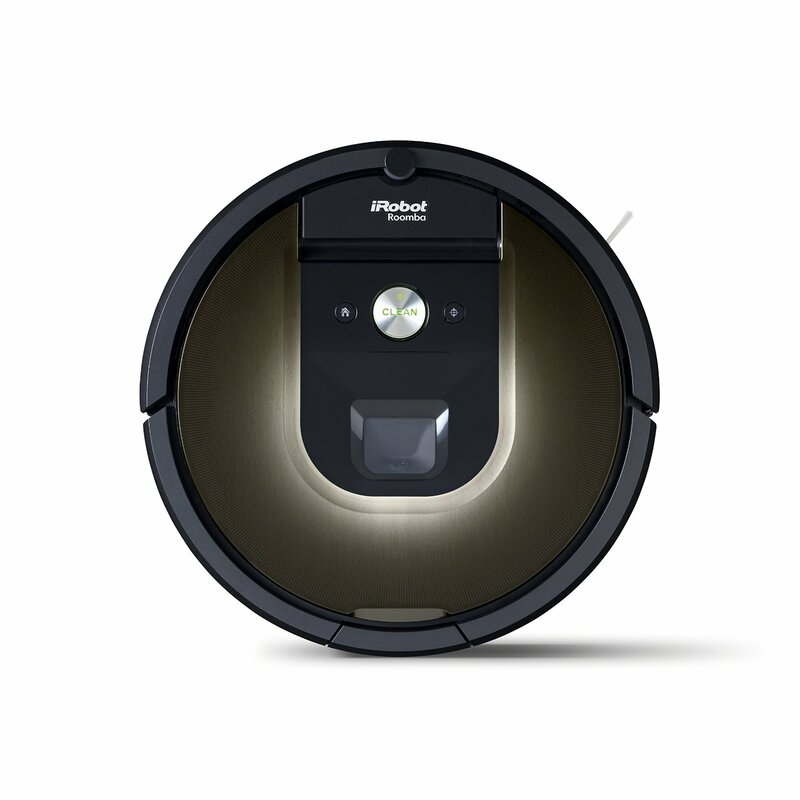 The filtration system on the Roomba 980 will take care of the health aspect of using a vacuum cleaner. You would probably want a vacuum cleaner that not only cleans your floors efficiently but also purifies the air around the house. The iRobot Roomba 980’s filtration system will capture dirt, pollen, pet dander, lint, dust, dust mites, and mold spores. These are some of the most common allergens that can make life pretty uncomfortable. The filter is called iRobot HEPAstyle, and it’s allegedly capable of retaining 99% of all the particles that are bigger than a micron. This is a very relative aspect. What you might possibly consider as being loud, could be pretty quiet for someone else. Looking at numbers, the Roomba 980 vacuum cleaner produces 70 db, the same as it’s precursor, the 880, which is averagely considered on the louder side. It’s quieter though than older models, but there’s still room for improvement. You will probably be better off if you program the cleaning cycles to start when you’re out of the house. Weight is not the biggest factor when buying a robotic vacuum, but it’s still a point worth your consideration, because you will still have to pick it up and move it to another floor. If you already like this robovac, you will like it even more when finding out that it only weighs 8.7 pounds. The dimensions are 13.8 in. diameter by 3.6 in. height. Overall dimensions and weight make this model very convenient to manage and easy to store. The warranty is a very important aspect when it comes to higher end household appliances like the iRobot Roomba 980. It comes with a one year manufacturer’s limited warranty and a 6-month one for the battery. If you buy from Amazon, you can also send it back in 30 days if it’s not to the standards you were expecting, and you can also take advantage of special prizes and promotions. 2 Dual Wall Virtual Wall Barriers. 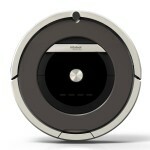 The iRobot HOME App is an innovative step in the right direction. Through the App, you can start cleaning anytime, from anywhere. 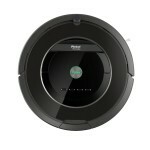 The App is connected to your Roomba through your Wi-Fi network, which makes it extremely easy to control remotely. You can start cleaning right away, check the status or schedule cleaning cycles if went away on vacation and forgot to program it before. You can also easily access customer support through the same app. This is another aspect that you will surely notice about the Roomba 980. It’s extremely user-friendly, responding promptly to any commands, being easy to use all-around. The innovative iRobot HOME App and all the other new technology that this vacuum makes use of just further adds to the usability factor. This is a very important factor, because nobody wants to spend more on a product or service than it’s worth it, no matter how deep your pockets. The iRobot Roomba 980 is a higher end product, a position justified by the amount of new and innovative technology and level of quality. So, although it’s in a higher price range, the sheer number of advantages you get from the 980 makes it worth its price. Some customers mentioned that, occasionally, the canister full indicator light comes on when there is only slight obstruction on the filter – but it does not stop the cleaning cycle though. After taking a close look at all the various aspects concerning this robovac, I can only say that it’s one of the best that you can find right now. It’s efficient, handles all types of floors and once you set the schedule, it takes floor cleaning off your head completely. You will probably never want to go back to a manual vacuum cleaner. The investment is well worth it, and if it’s quality you look for, the iRobot Roomba 980 is one of the best choices you can make!